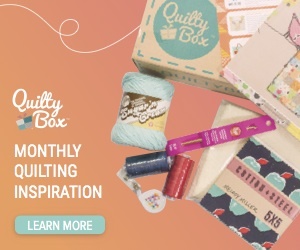 Today’s the day I finally get to share with you what started well over a year ago! That’s right! Over a year ago! 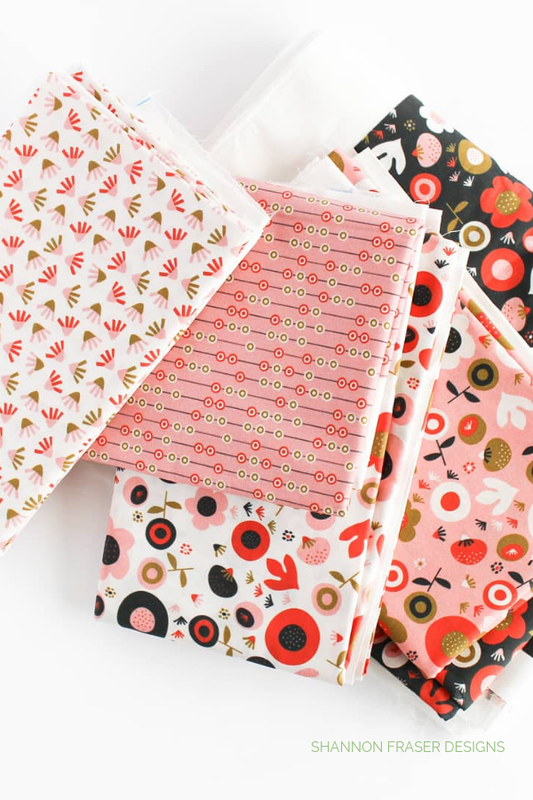 Back in January 2018, I connected with local Montreal surface pattern designer Camilla Carvalho, from Oak Print Design, and she gave me access to her pattern library to pick some prints that I would like to work with. 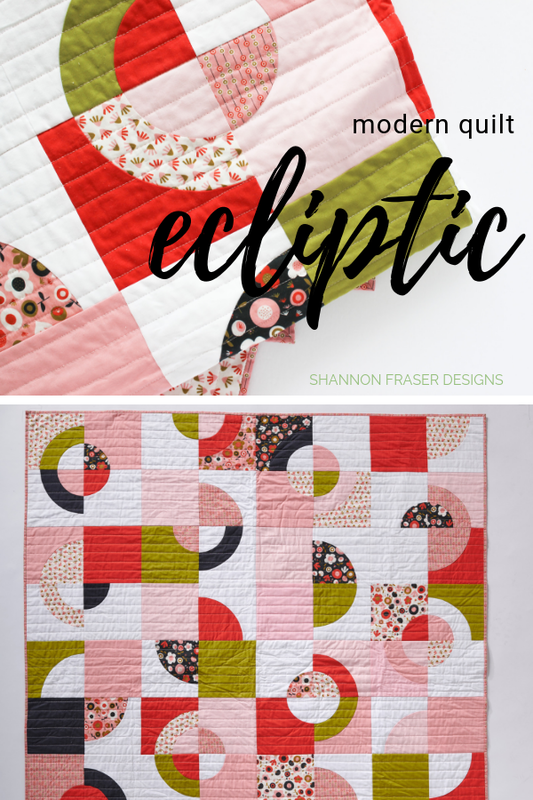 What fun to scour through her design repertoire (see more of her amazing designs here) and choose my faves. 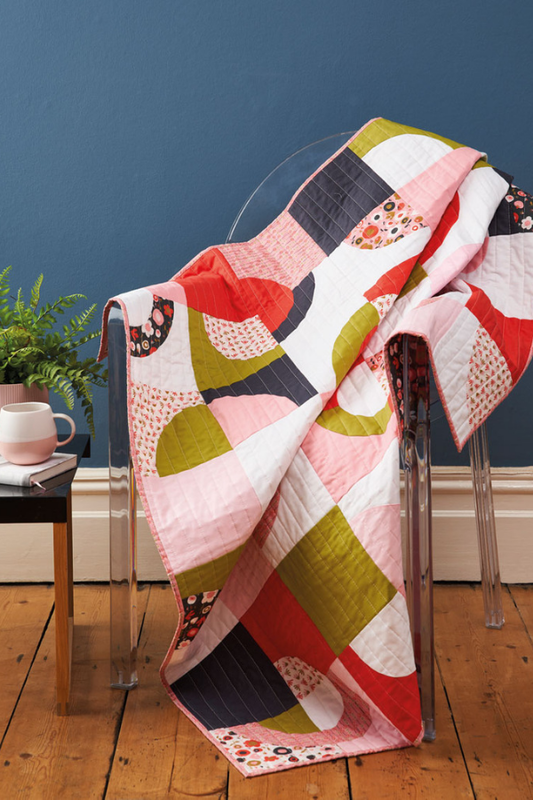 Narrowing down the selection was tough, as I love Camilla’s designs and bold use of colours and shapes inspired by nature. 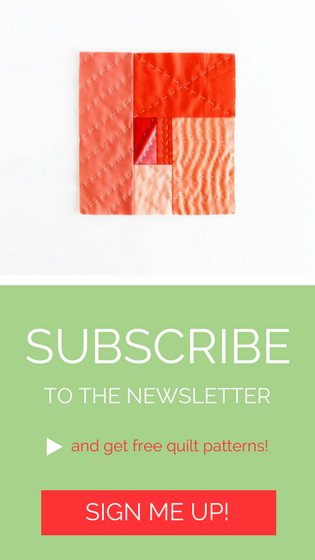 colourful, graphic, with a touch of whimsy. Camilla ordered up the prints from her Spoonflower shop and we decided to meet in person for the first time at Melk, a local coffee shop. I had a great time chatting with Camilla! Even though it was our first-time meeting, I felt completely at ease connecting with her. 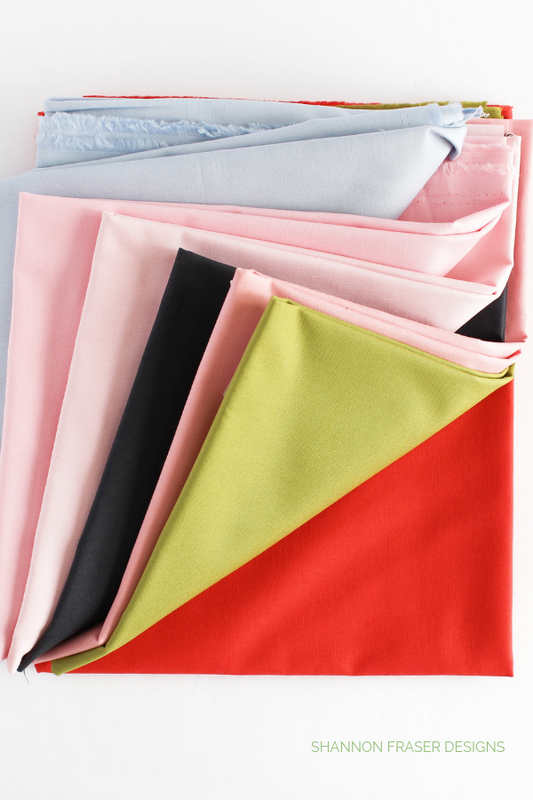 With fabrics on hand, I went home to order some coordinating solids. 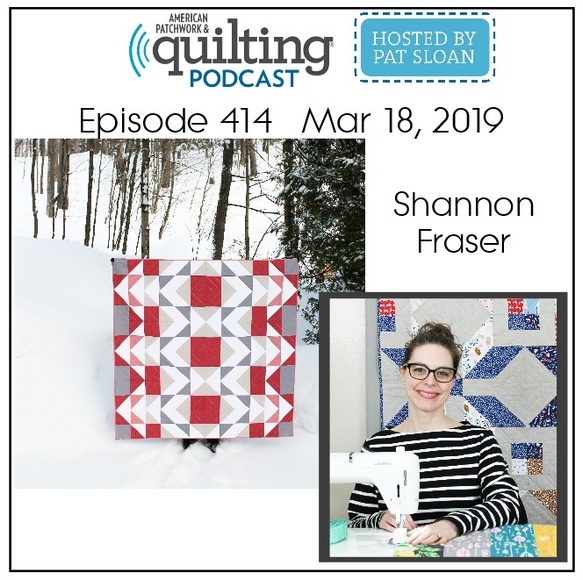 This is always such a fun moment in the quilting journey – when you have the design idea drafted out, some fabrics on hand, while waiting for others to arrive – it’s the build up of the excitement of seeing all these elements come together. I thoroughly enjoy it and try and remember to savour these moments rather than try and rush through them. 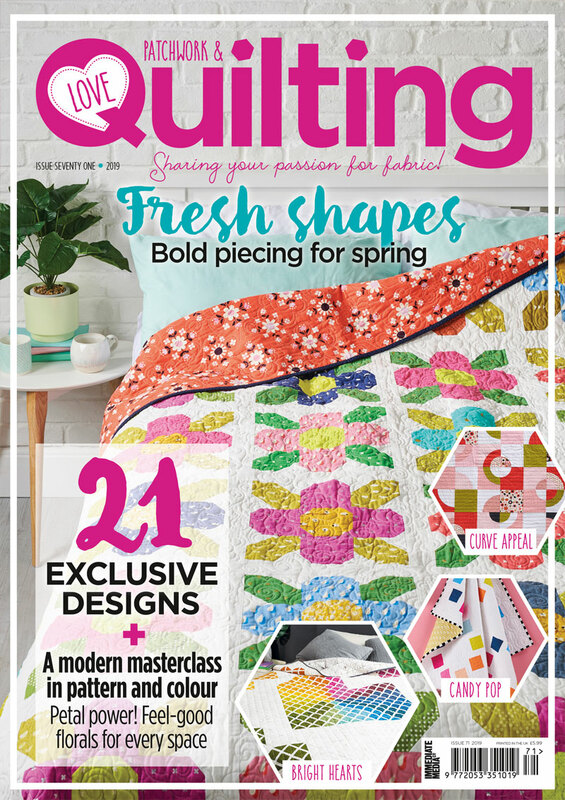 While waiting for my solids, I decided to pitch the idea to Love Patchwork and Quilting Magazine and…she got accepted! 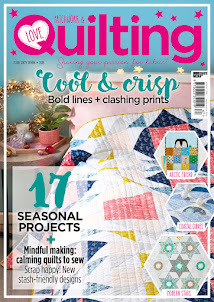 This all happened a few weeks after I had pitched my first pattern to a magazine, which just happened to be the Double Windmill quilt featured in LPQ issue 67. 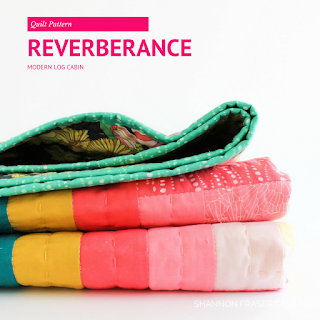 I hadn’t even started working on that one and I already had a second quilt successfully pitched! Good and scary times all at the same time! 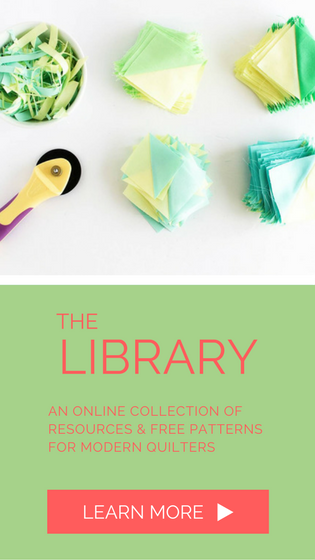 Once the solids arrived it was time to play! 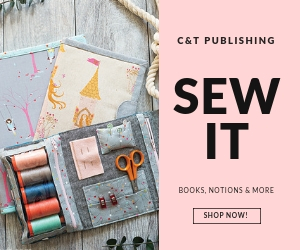 Now, there’s always a moment of trepidation, especially when I’m cutting into fabrics from a designer I know, where I think “I hope this works” – ha! 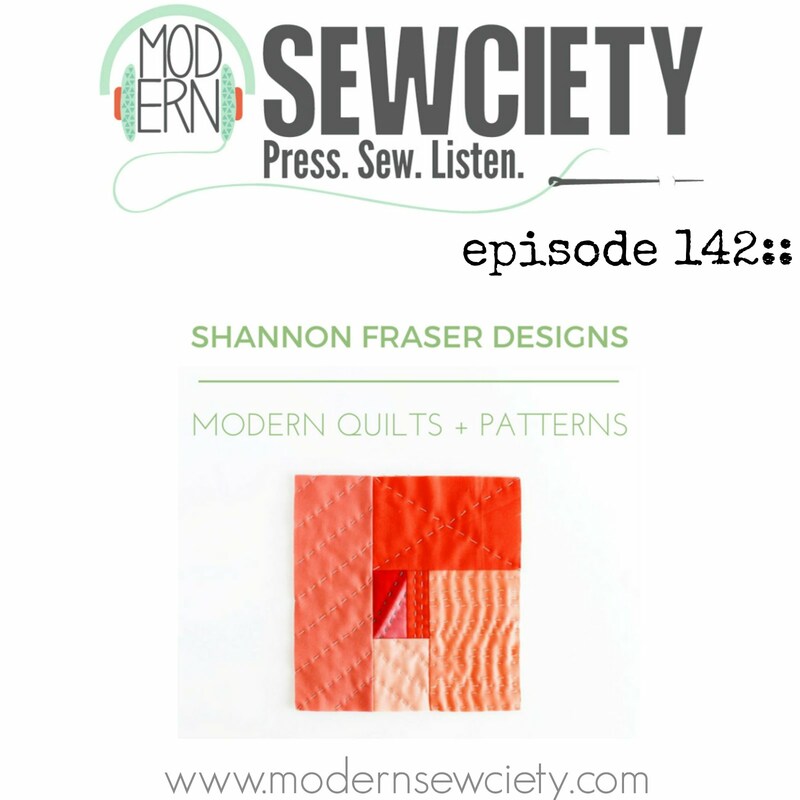 You can plot your designs out on the computer or by hand all you want, but until you actually start cutting and piecing, you really don’t know how it’s going to look or how you’re going to feel seeing it all come together. With this one, my moment of trepidation was fleeting! I was overjoyed to see these fun drunkard’s path blocks come together. The prints are just so fun. The colours are beautifully saturated and full of life. And paired with the curves just makes it all sing. 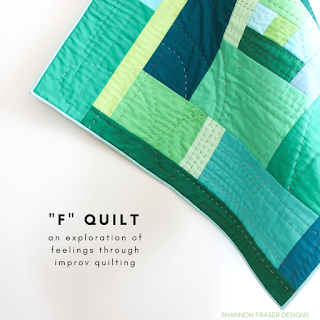 Do you get those feelings from your quilts too? 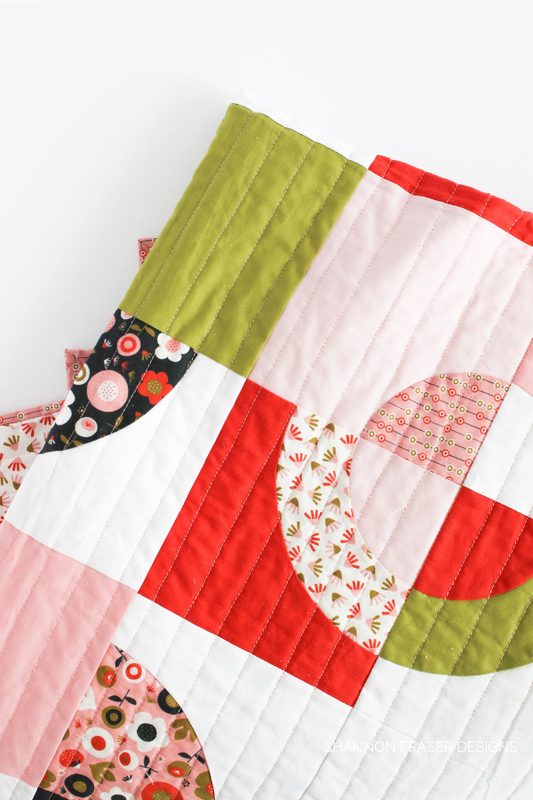 To keep the focus on the prints and the quilt design, I opted to quilt her using 1” straight line quilting in a very soft pink 40wt Aurifil Thread. 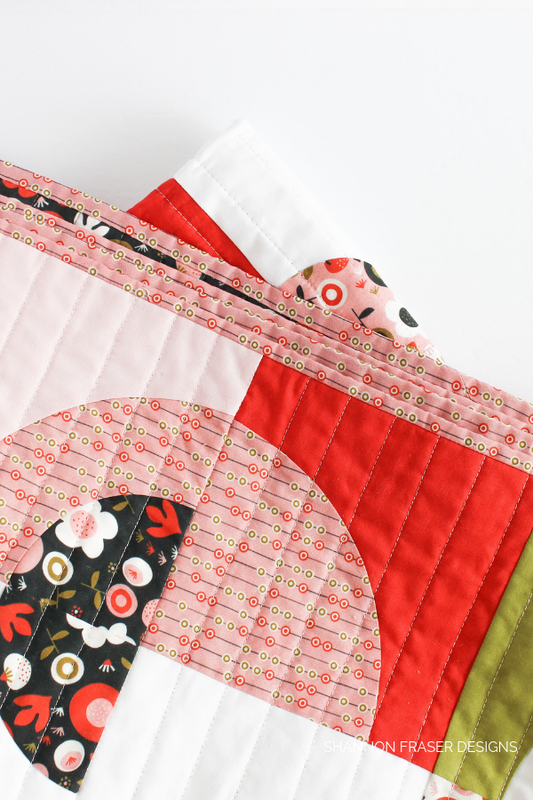 I’ve used this pink a few times already – most recently in my Flight Plan quilt. 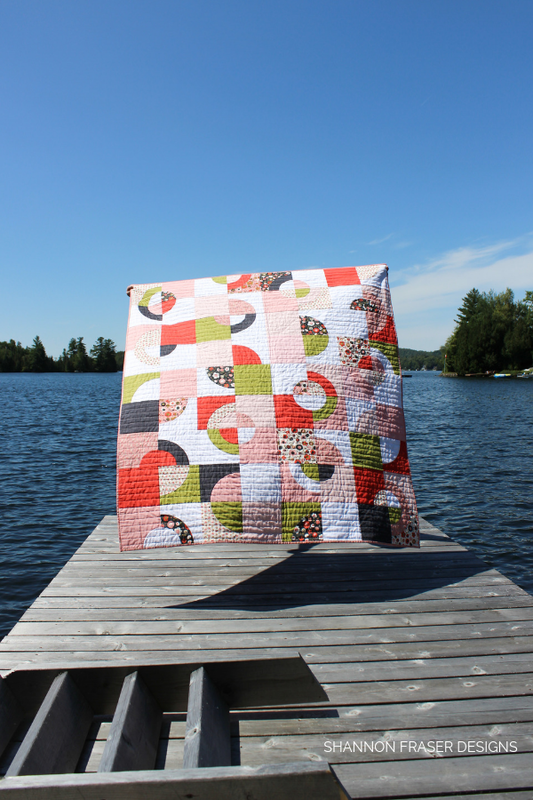 The colour is quite versatile, but still gives a little added dimension to a quilt without overpowering. 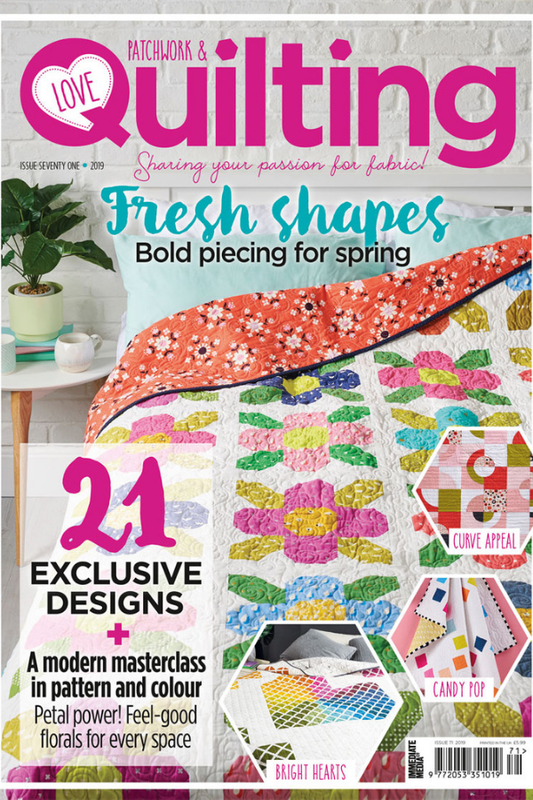 Did you catch that this is the quilt I was working on and featured in my Quilt Binding Tutorial: Part 2 | Ultimate Hand Binding Tips series? 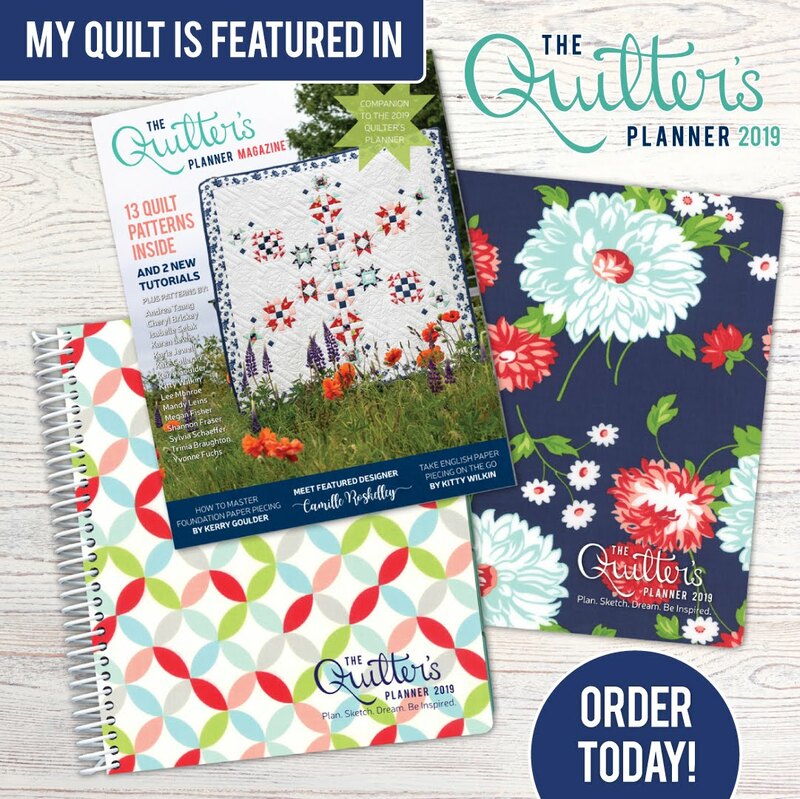 I kept having to strategically place her so you wouldn’t see the quilt design! Doesn’t all that sound fun?! 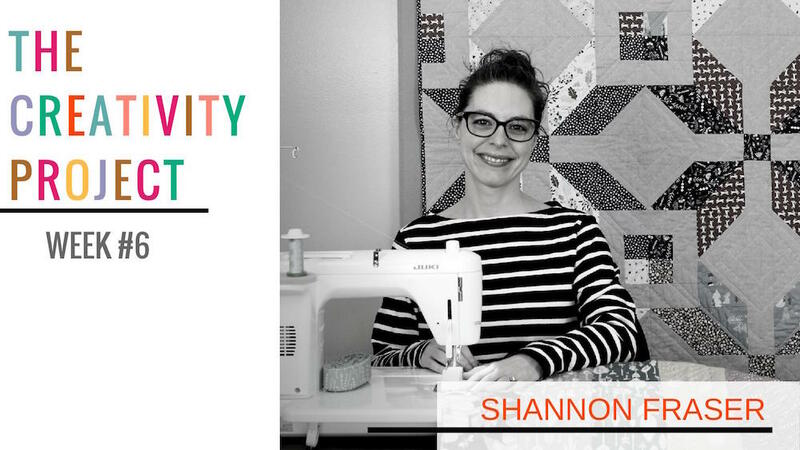 Plus, I share tips on how to have quilty success sewing curves! 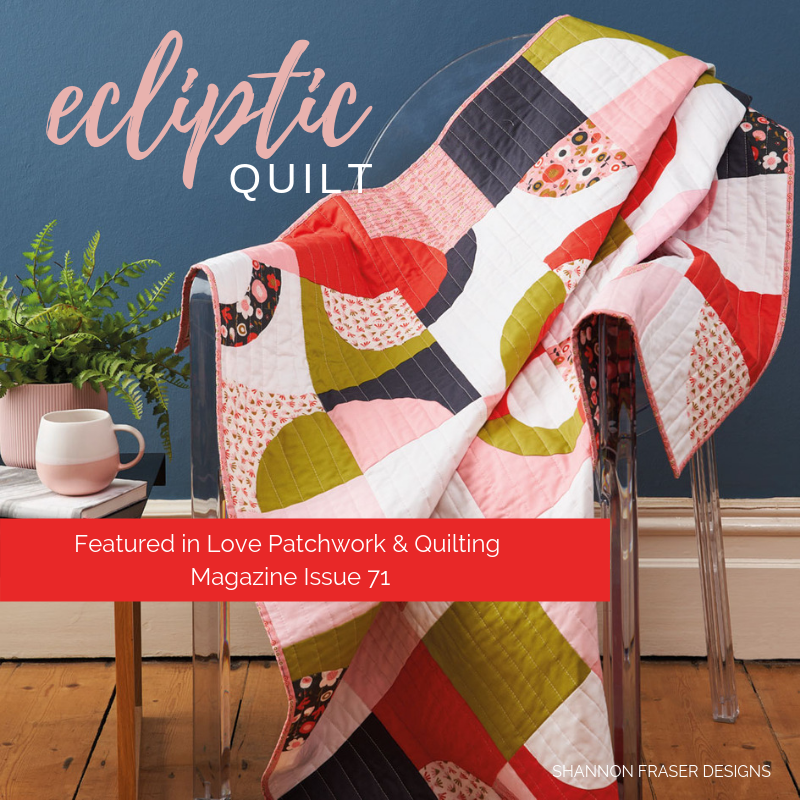 You can find the Ecliptic pattern in Love Patchwork and Quilting Magazine Issue 71 out now! 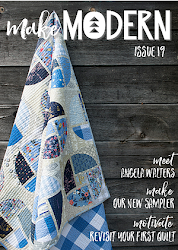 Snag a copy here or sign up for an annual digital subscription here. This is so fresh and modern!!!! So I'm confused, is this your pattern? But we can't purchase it from you? 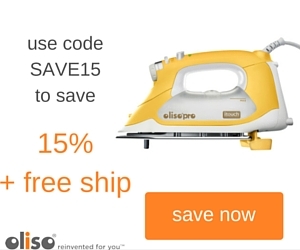 Thrilled you love the new design! This pattern is currently exclusively available in Love Patchwork and Quilting Magazine Issue 71, but I will have it available for sale sometime later this fall.